I love doing DIY artwork instead of spending a lot of money on masterpieces! 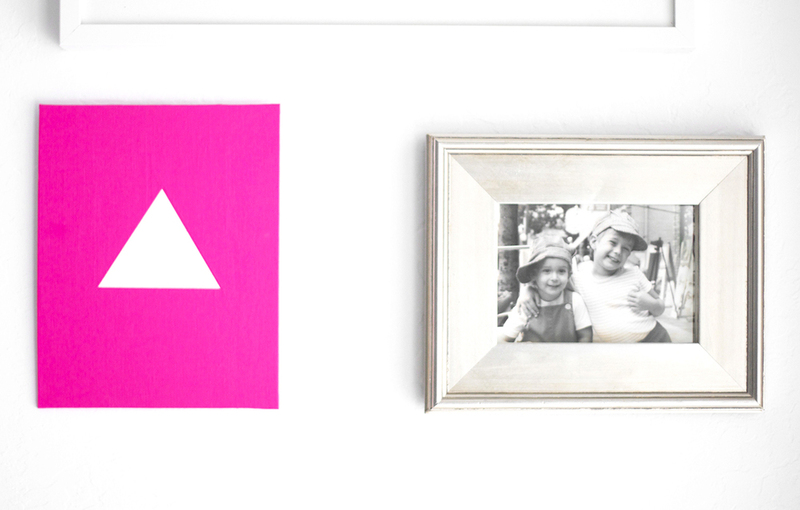 And since geometric shapes are on trend, it's super easy to create your own stylish DIY art. I've got this triangle number for you that took me about 10 minutes to create. I'v got it hanging over my couch on the gallery wall. Martha Stewart Satin Acrylic Paint, Color "Party Streamer"
Create your shape with painter's tape. Paint canvas. 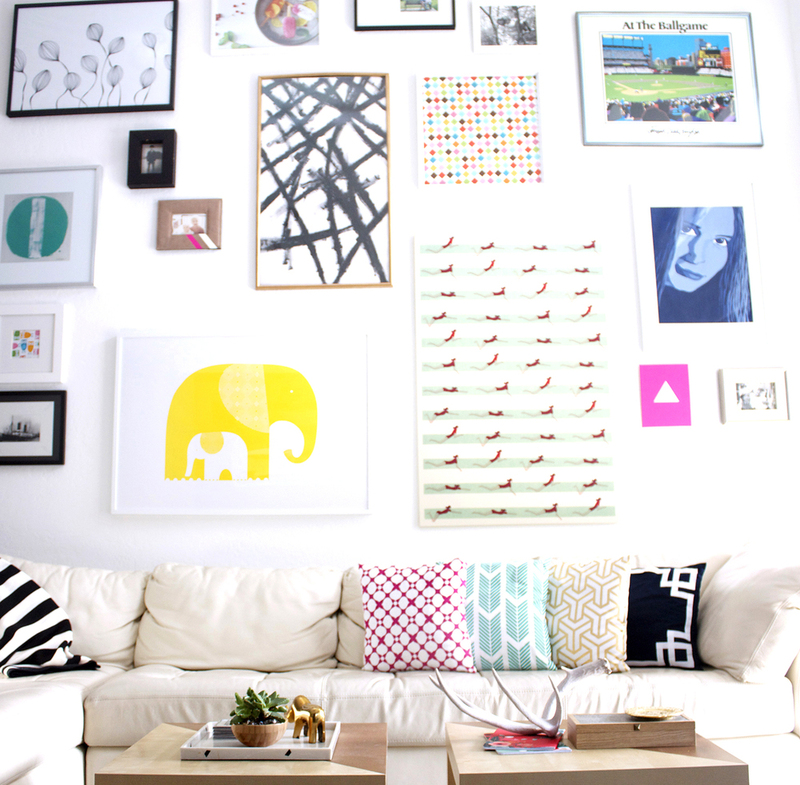 How cool does DIY artwork look in your gallery wall? In case you are curious, here is my step-by-step on how to do a gallery wall. And if you find this post helpful, please subscribe below. Subscribers get exclusive DIYs and a free party printable set just for signing up!